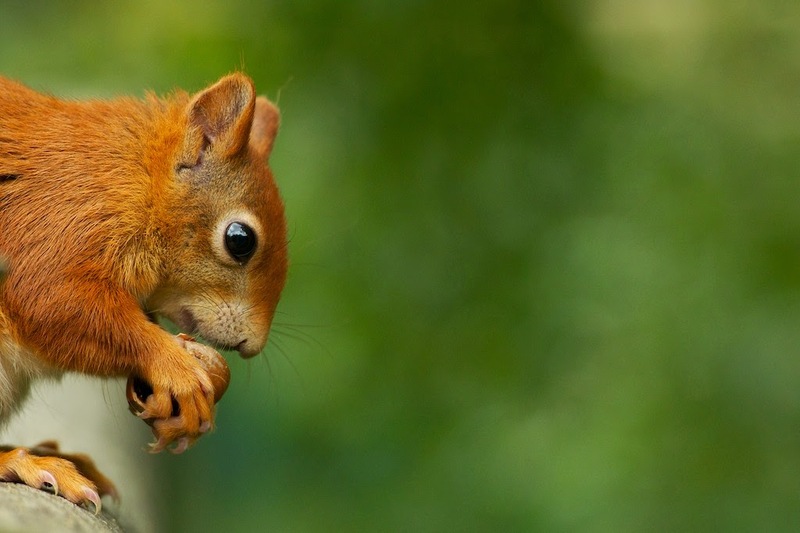 I have a soft spot for red squirrels. It is the animal I extensively studied at college and in particular for my final project on stereotypical behaviour, in a kind of way it is one of the ways/reasons I initially got my foot in the door here at the BWC, I have been a part getting our squirrels to where they are today, a part in setting up the first walkthrough red squirrel enclosure in the UK, a part in releasing these animals back to the wild and a soft spot for them just because they are so damn beautiful! Above is one of my earlier photos of a red squirrel, and one of the first ones I took with what was my new lens but now my old trusty 70-200. I am sure you all recognise it as a cropped version is the BWC Blog banner. You can not beat a simple portrait, and our enclosure offers the perfect place to get this. A little bit of soft backlight to lift it and you have something special. 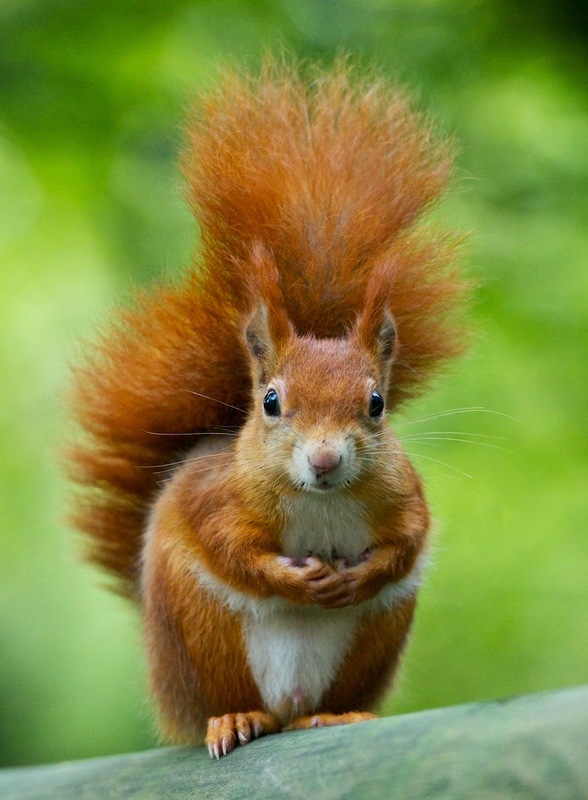 Of course what really makes it special is that it is a red squirrel. Reds are of course our natives, with greys coming from America around 135 years ago. Now reds have dwindled to only around 140,000... 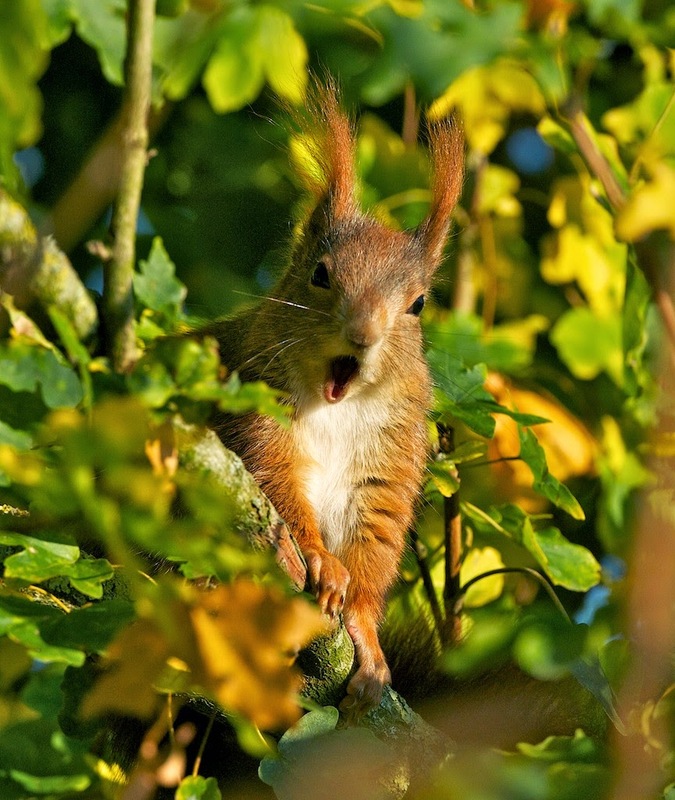 I have some people telling me, thats not too low, but when you realise grey squirrels now number well over 3million!... It gives you an idea of how drastically the reds are outnumbered. This is a newer version of the above, and a new one for Liza to play around with. All the space makes a good place for text to go. Reds have several troubles form the greys, and I won't go into it too much here, but the biggest problems are food competition and disease with the squirrel pox virus claiming a lot of red squirrels and being helped spread by the greys. This is Nutkin doing one of her famous bat impressions... you have to have one squirrel called Nutkin don't you!?. She is not her best at the moment, a nasty abscess on the side of her face, but she is currently isolated and under vet supervision and doing very well. I hope to have her back out to see you all in a week or so. All this threat from the greys, and many no believe that the reds only have another 20 years on the mainland before they are extinct. If true that is a frightening guess. We do of course still have them on some of the islands though such as Brownsea, Isle of Wight and of course now Tresco. 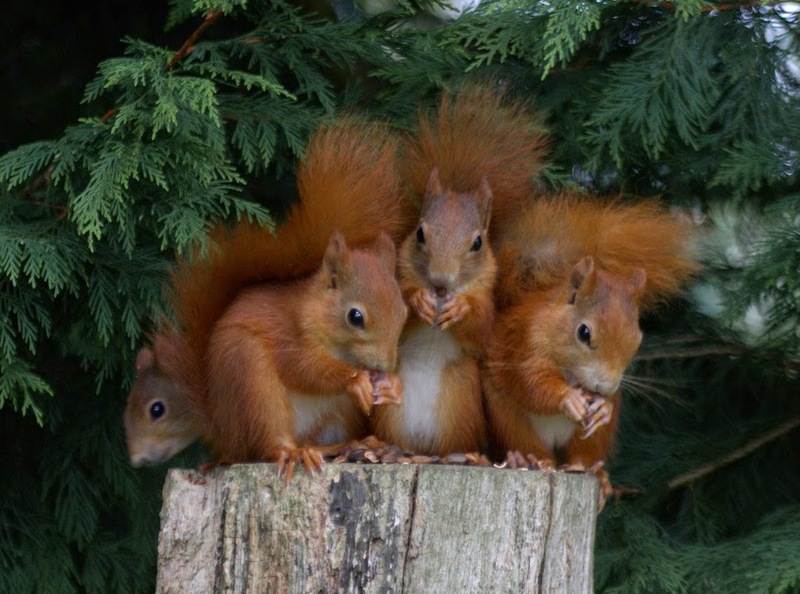 We breed a lot of squirrels here and off site at other collections who are part of our breeding group. 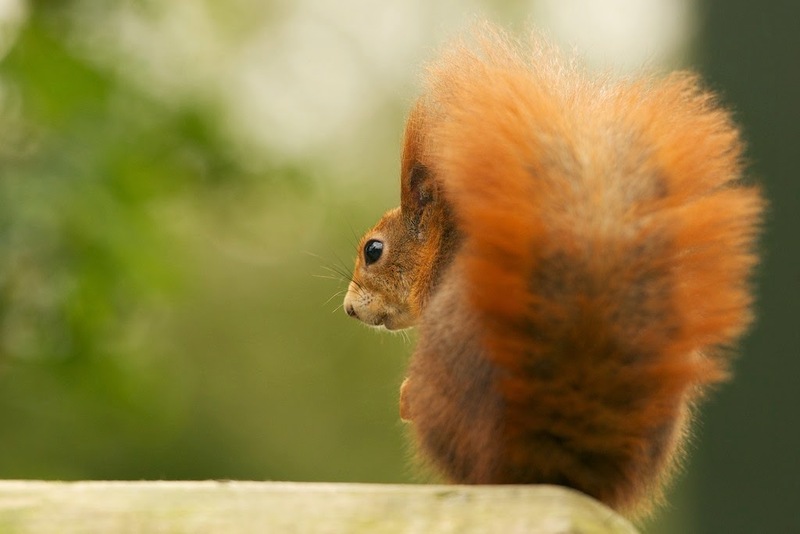 We aim to release red squirrels in many areas to create pocket populations to ensure they stay in this country as long as possible. If there is ever a chance to release on the mainland, then of course we then have small populations we can draw from potentially. This one above is the current leaflet cover. 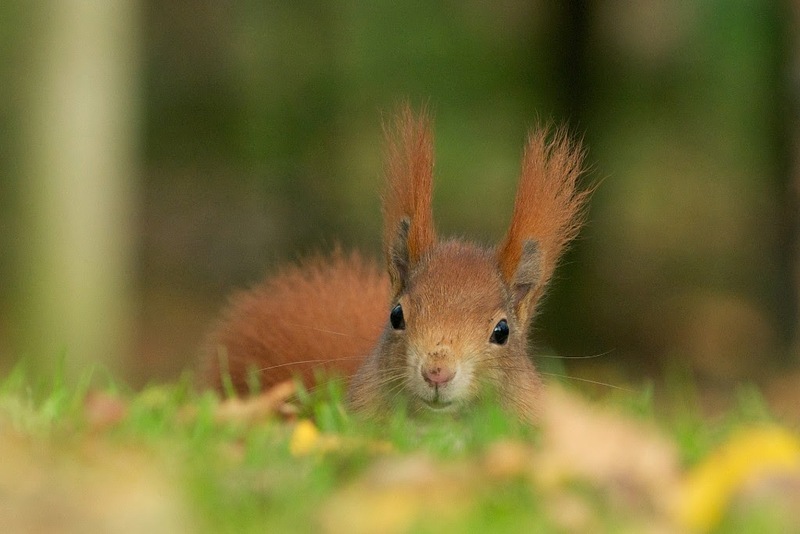 There are a lot of groups around the country trying to work towards saving the red squirrel, good news of course, but many don't seem to talk or co-operate with each other which is a real shame. Difference in opinions seem to halter progress in many areas, but I guess that is true in all aspects of life. I just wish everyone would work together for the good of the cause and put egos aside sometimes. 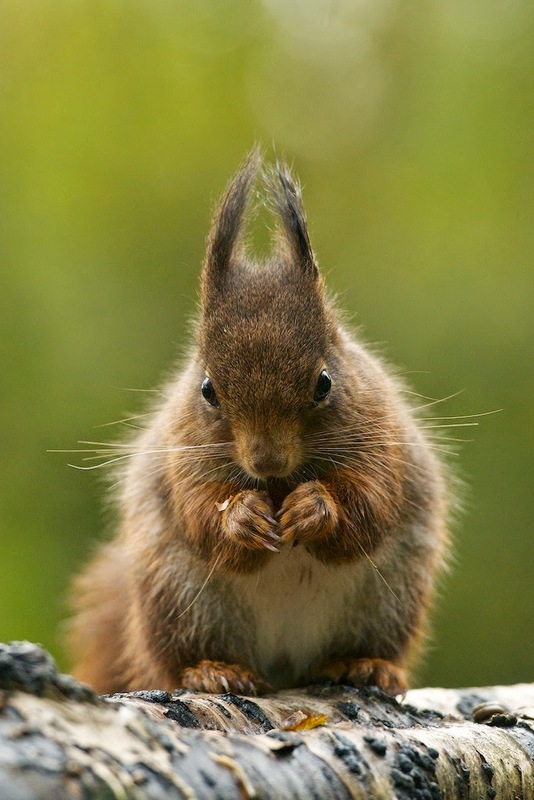 Those funky ear tufts above are arguably the red squirrels main feature. Many don't realise they only have them on during the winter, moulting them off for the summer. David is working closely with the Countryside Conservation Trust with many of our squirrel projects, and always looking for new places to release them. A lot of islands crop up in conversation, including one you will here more about soon for this years release, but many stop before they have even started. One opposing thought to a lot of the smaller islands releases are if the squirrels have ever been there historically, but then when half our wildlife on the mainland is introduced does it matter? 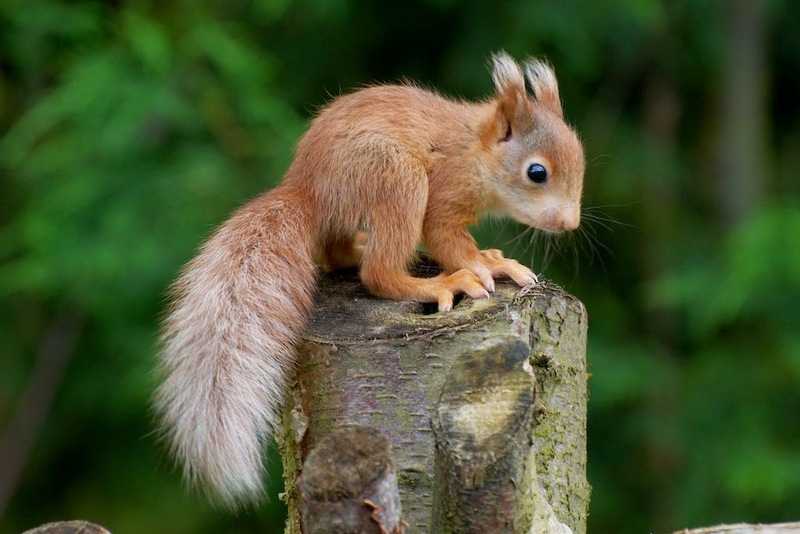 They are beautiful animals, and are so much prettier than the grey squirrel in my opinion. They are smaller, about half the weight, and lankier in build. Their legs are similar in size to a grey squirrel but a smaller body. 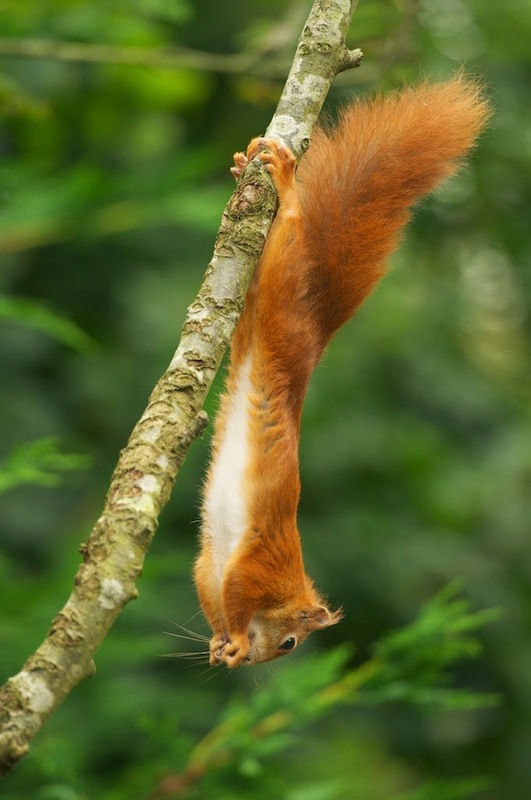 This makes them far more athletic and agile, and this shows true in their much more arboreal lifestyle. Perfectly adapted for the trees, and run and almost fly through them with ease. It is not their fault, it is our interference as always which brought them here. The fact is there is no button, and if the reds do die out on the mainland and it is a choice between grey squirrels or no squirrels I would reluctantly chose the grey. And perhaps most importantly, they are one of very few wild animals that children get to see growing up... especially in an town or city. 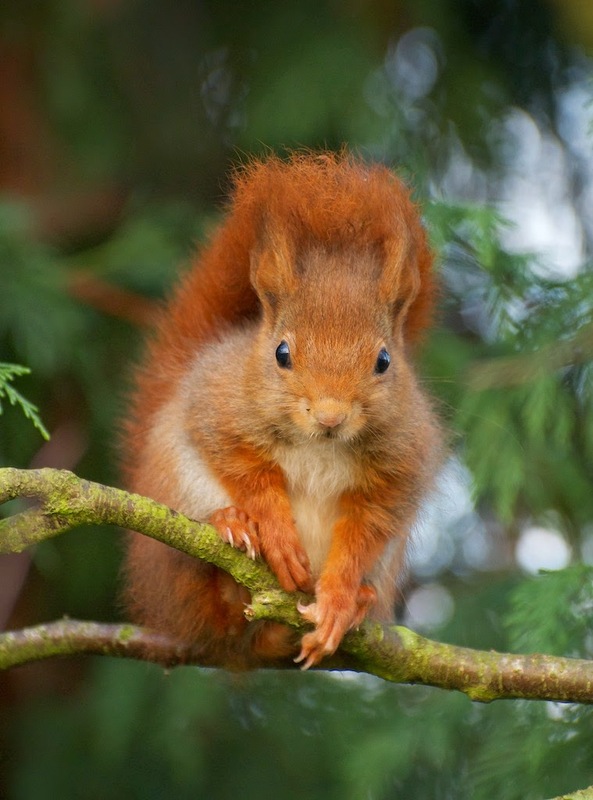 Many children in these places have the grey squirrels as one of their only connections to wildlife, they may not even know that there is a red squirrel never mind that it is the red which is our native. If the grey can be a way for these children to have inspiration and compassion to wildlife then it has to be a good thing. One of my older portraits, and still one of my favourites. This is on the cover of our current guide book, and another in the sequence has been used for a magazine cover in the past. 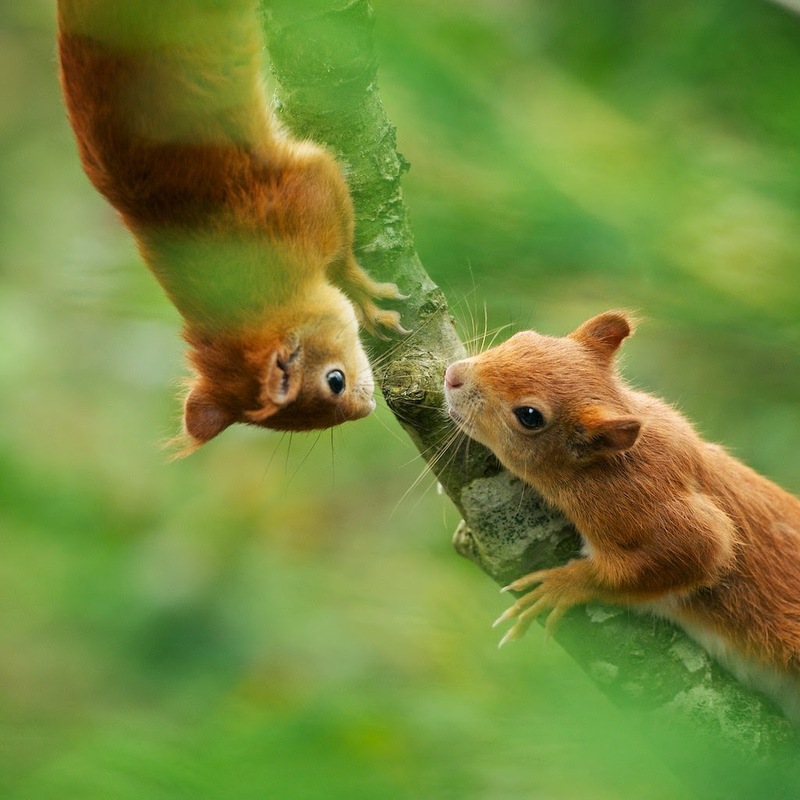 Red squirrel babies are called "kittens". We are very successful in breeding them here, but do occasionally have youngsters that need a little help. As a general rule of thumb we never get involved, and leave all the hard work to mum... she knows best... but if it is obvious that one of them has been abandoned then I will do my best to be a foster. 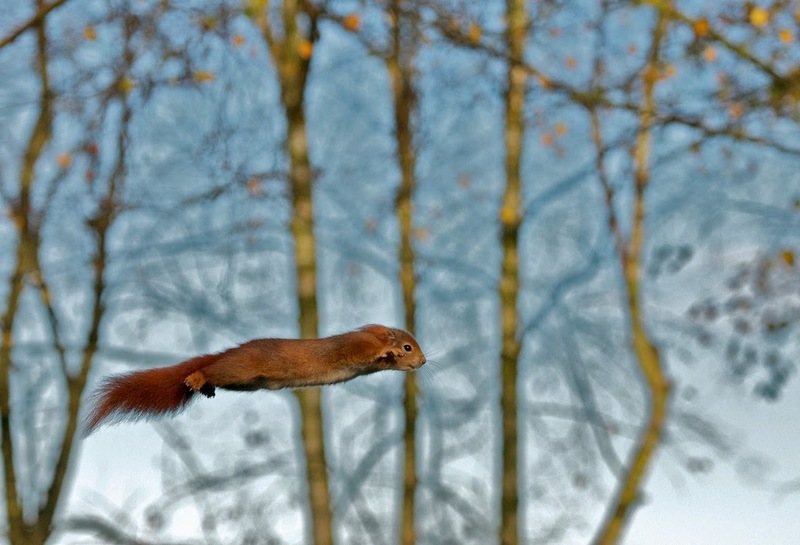 I have reared many squirrels in the past, above is "Flame" which some of you may remember. She used to spend a lot of time in my fleece pocket, and just climb around me while out walking around the park and talking to people. She was amazing, and one of my favourites if I am allowed them. She eventually went to live in the walk through enclosure. The bleach white tail and ear tufts were stunning, and something we occasionally see in other squirrels we breed here. They have always slowly darkened with age, but we do have some very blond kittens this year and so it will be interesting to see how they mature. One of the very first photos I ever took with a DSLR, possibly even within my first 10 and definitely within my first 100. Taken on a Canon D40. Far right is another of my favourites, Auburn, with three of her kittens on an old feeding stump. She was a great mum, and very successful for us here.